The time has come once again where Jordan Peele astonishes the world with his great capacity for creating beautiful horror and horrific beauty. “US” premiered March 22 in the states as Peele’s second horror film and has in a short time already received numerous praise, millions of dollars, and infinite questions. For my own review, I sat in the theater, ready to be terrified for the full two hours. Warning: Spoilers ahead, read if you dare. US movie poster. Photo from imbd.com. The film starts off with a throwback to 1986, showing an ad of the movement “Hands Across America” before transitioning to the shining boardwalk of Santa Cruz as the film’s protagonist, Adelaide celebrates her 8th birthday. She wanders away from her parents onto a dark beach before entering Merlin’s Enchanted Forest, a funhouse full of, what else, a hall of mirrors. We all knew this is where a movie about doppelgängers had to start out, didn’t we? After seeing the back of her own head, a quick jump reunites Adelaide with her parents showing the horrified girl unable to speak about what she saw. Years later, Adelaide is grown up and with husband, Gabe, and kids, Zora and Jason, and they’re traveling back to her family beach house in Santa Cruz with her family. As they get closer to the beach Adelaide remembers her trauma and the summer she doesn’t want her children to relive. However, hours after walking through the boardwalk (that seems to have barely changed) to the beach with a scare from her son going to the bathroom; the horror begins. A twisted alternate family of doppelgängers arrive at the house and tortures the family in some sort of revenge. Managing to escape, Adelaide and her family realize it’s not only their family that’s been copied and stalked but everyone. The movie ends with a decent enough twist and manages an enjoyable balance of classic horror with mindbending thriller. Watching the film it’s clear why Peele was tapped to take on the revival of the “Twilight Zone.” The cinematography and acting are spot on and imagery maddeningly intriguing. From the moment Adelaide’s mother cried “I just want my little girl back,” I think we all knew there was going to be some flip-flopping of places. Yet, while beautifully full of paralleled imageries and hints to the coming twist, there’s no real sense of satisfaction when answers are provided. 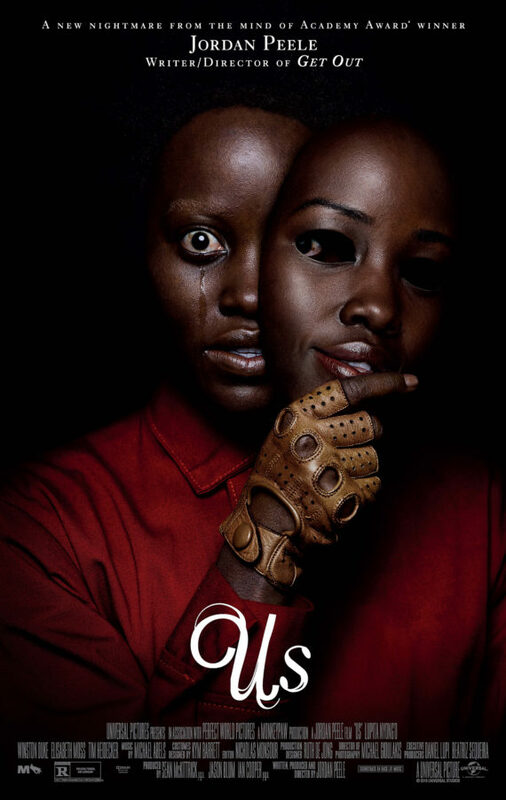 Overall, I enjoyed the film and would suggest to any fan of the horror/thriller genre, but would say don’t go head first down the rabbit hole trying to figure out hidden meanings that Peele has already stated might not exist beyond your mind.